Today I stumbled upon an Ekphrasis piece, which is writing about a piece of art. Ekphrasis is more than a art review but is a poetic reflection inspired by the art piece. See my reflection on the sculpture Two Moors below. 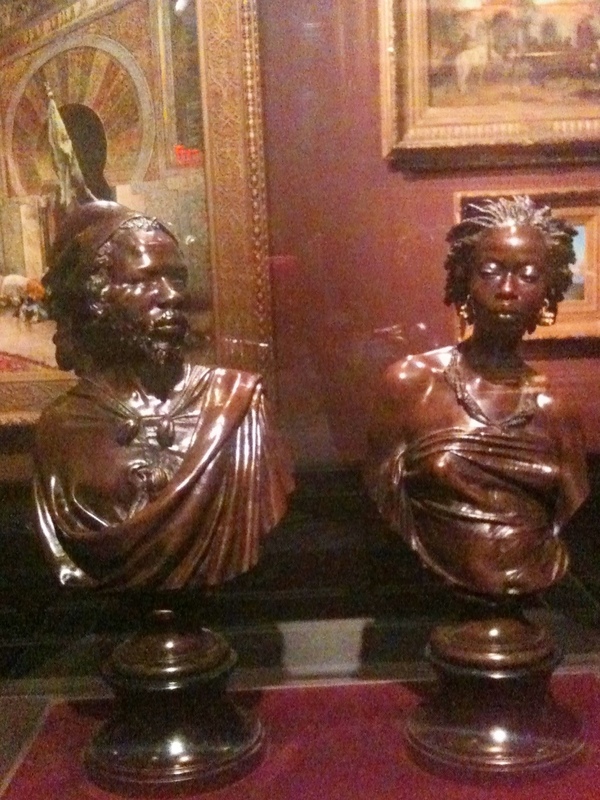 I took this picture at the Walters Museum of Art during the summer of 2010. Deep, dark, ebony, mahogany, the moorish love of deep still waters. Their love was like the beautiful darkness that resided upon the face of the deep during the silence before the birth of creation. As they came together the spirit of God moved upon the face of their waters and manifested life. Their love was Royal and could not be conquered or contained. Previous FBMT PRESENTS THE STREET POETS NYC OPEN MIC: NO FILTERS FEAT. NINA B THIS FRIDAY!!!!!!!!!! JUNE 29TH!!!!!!! Next Selfish &amp; Selfless: Where Is The Middle Ground?